Color-by-letter and color-by-number coloring pages are fun and educational. The final picture will be revealed as each shape is filled. There are many benefits to color-by-number coloring pages. 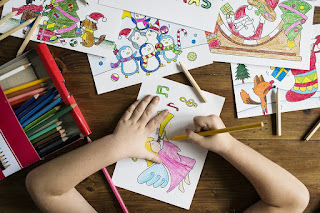 Aside from the benefits of coloring in general, your children will also learn the importance of coloring instructions, the meaning of symbols, and the advantage of seeing things through to the end. Their color-by-number pages are letters of the alphabet. Their color-by-letter pages associate each letter with a color and create a picture. Happy coloring!